Have a rapidly-failing Moviepass and don't know whether to see Black Panther or Jumanji (I mean, again)...? Robot-Kraken is here to help! 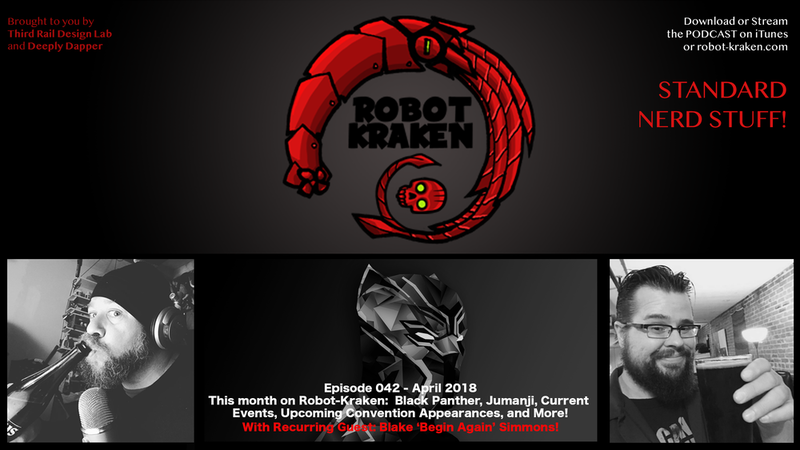 Episode 42 "Panthers and Ponds" has you sorted, with reviews of both Black Panther and Jumanji, as well as heaps of current events, and an update on Thom and Kris' comic convention schedules for Spring 2018. Listen now on iTunes, Stitcher, or download it directly! Bonus: Microreview of Enders Game!